Shacks cling precariously to sandy hillsides. The flat roofs of board-and-tin hovels stretch as far as the eye can see on treeless moonscapes. Humble meals are served on battered plates. The sights and tastes of Lima's huge shantytowns are not the standard fare of tourists, who are mostly drawn to Peru to see the majestic Incan citadel of Machu Picchu or sample the country's renowned cuisine. Yet for a few travelers, the slums are precisely why they come: to experience the other side of this diverse Andean nation. 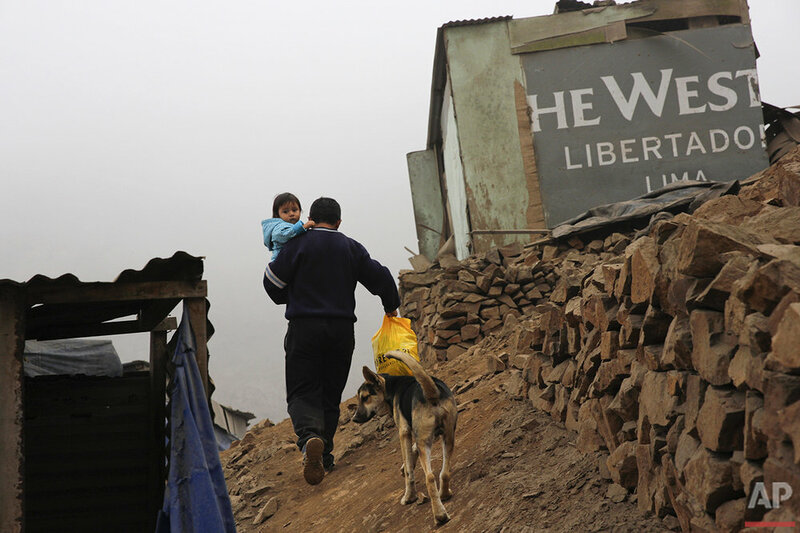 "We didn't know there were areas like this," said Ashok Arasu, an Australian doctor who along with his physician wife, Cherry Wu, was walking on one of the many misty, gray hills that hold slums in Lima, where a third of Peru's population lives. "I saw something comparable once in Cambodia," Arasu added. Arasu and Wu passed out notebooks, pencils and socks to warm the feet of the shantytown's children amid the cool, damp weather of the Southern Hemisphere's winter. Sometimes tourists bring medicines for the respiratory infections that affect children here or they help paint houses. 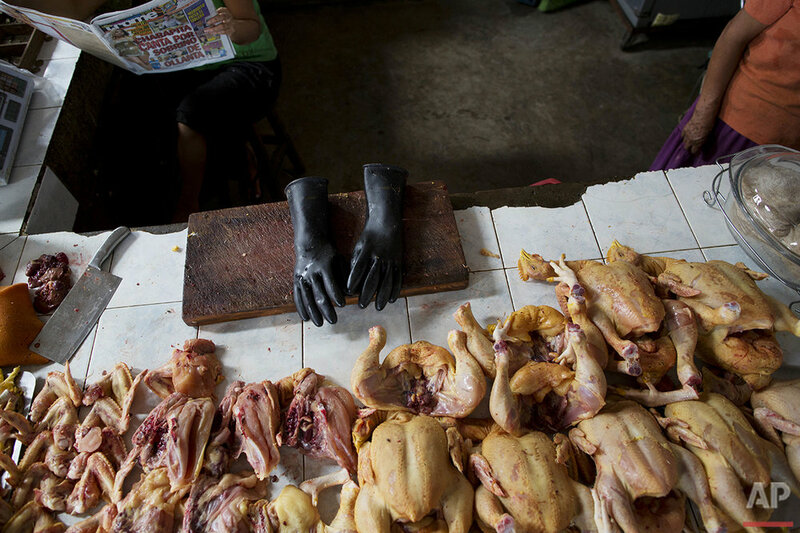 Text from the AP news story, AP PHOTOS: Shanty town tours offer different view of Peru, by Franklin Briceno.